SANTA CRUZ, CA June 13, 2018 - As the population of software developers worldwide continues to grow, the hot spots top growth rate are changing. 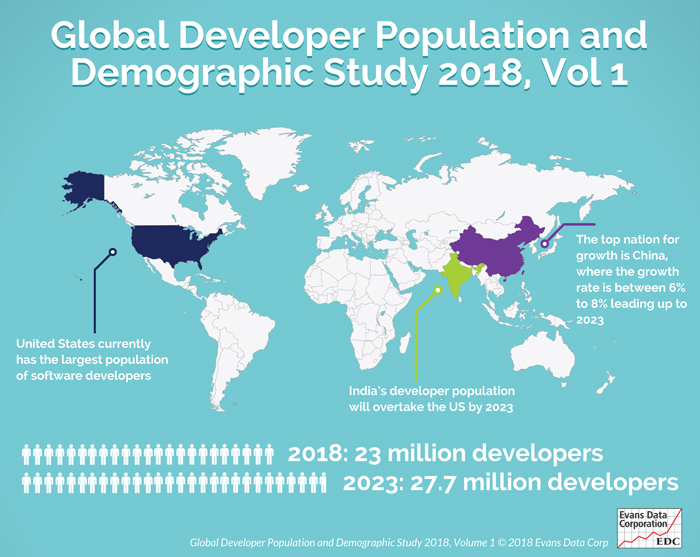 While the United States currently has the largest population of developers, India will overtake the US by 2023 according to Evans Data’s recently released Global Developer Population and Demographics Study. The top nation for growth however is China, where the growth rate of the developer population is forecast to range between 6% and 8% each year leading up to 2023.